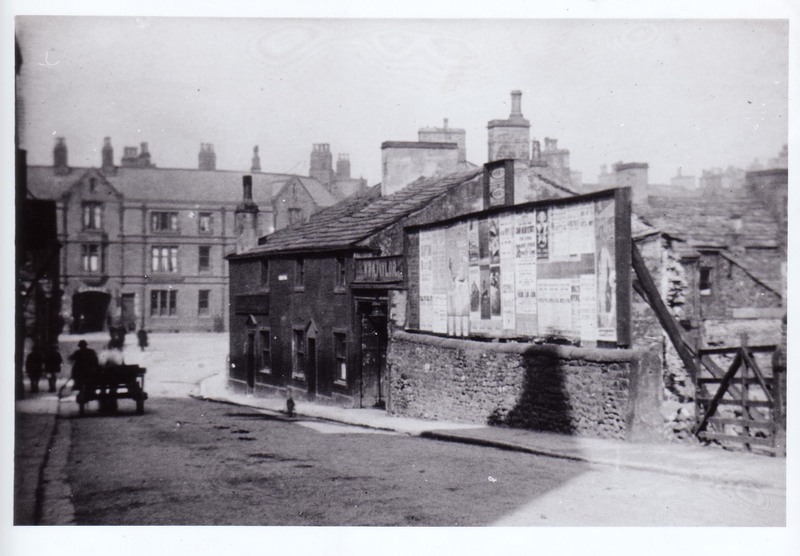 The Old Unicorn, Baldwin's Fold, off Keighley Road. Horse and cart. Billboards. The patch of light beyond and to the left of the dray (horse and cart) and the two pedestrians is the entrance to Waller Hill the present day bus station. The junction beyond that is Keighley Road/Swadford St.